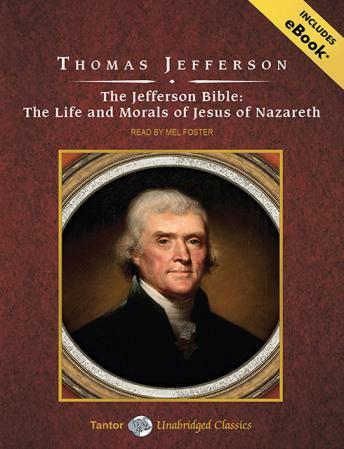 In the early nineteenth century, Thomas Jefferson, the third president of the United States and the principal author of the Declaration of Independence, conceived the idea of extracting a gospel purified of what he saw as extraneous philosophical, mythological, and theological elements. To do so, he took verses from the four canonical gospels and arranged them into a single narrative, focusing on the actual words of Jesus. This work was never published during Jefferson's lifetime but was inherited by his grandson and printed for the first time in the early twentieth century. The original bound manuscript, popularly referred to as The Jefferson Bible, is held by the United States National Museum in Washington.